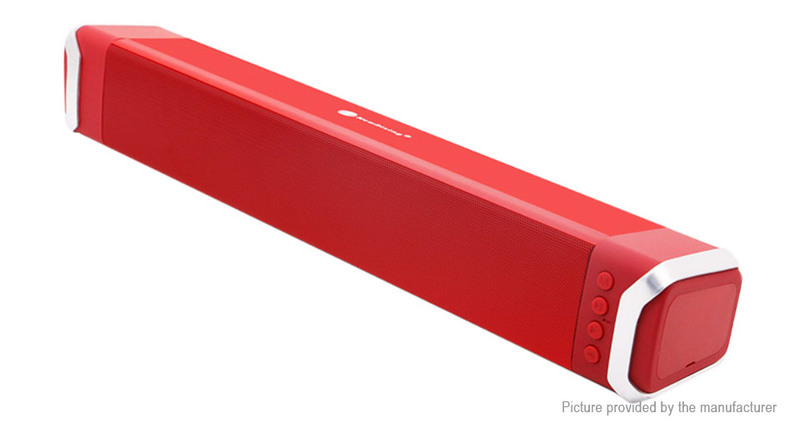 A long Bluetooth speaker which has high quality sound and stylish design, can be used at home or in office. Multiple playing ways: USB play, Bluetooth play, TF card play and audio AUX input. Perfect for a home theater with 3D HD stereo sound, enjoy music and film with this high quality speaker. Microphone included, it can provides you hands-free call.